Have you ever thought to section off one of the rooms in your home to create a play room for your baby but did not want to add walls or could not find a baby gate large enough for the opening? A Baby Safe Homes client came to us with this idea and we helped them make it happen. As parents of multiples, they certainly had their hands full and needed a large safe area for their twins to play. 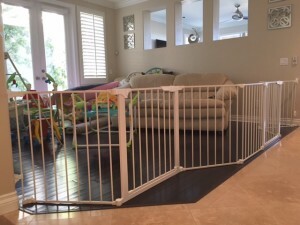 Baby Safe Homes was able to install a fourteen foot child safety gate to section off the living room of their home to create a large safe environment for their twin babies to play. 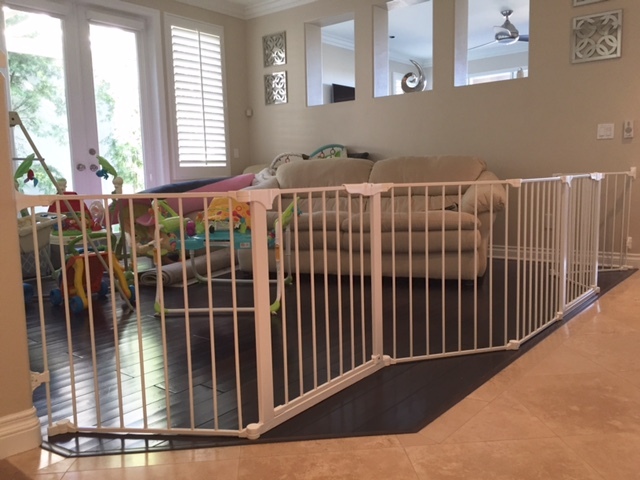 This custom baby gate has two self closing – self locking doorways for easy access in and out of the play room. 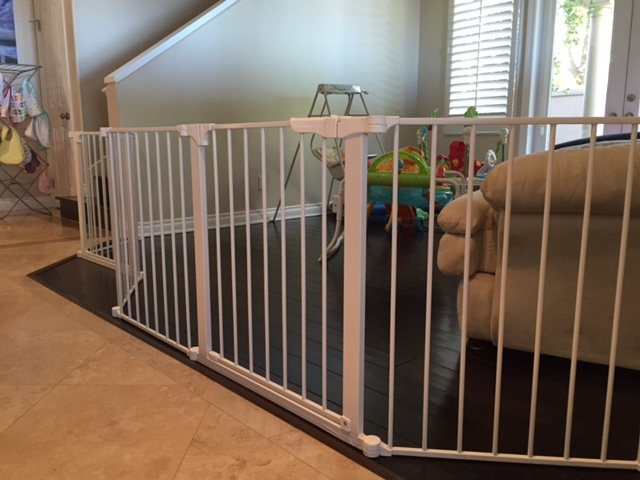 The large custom baby gate can also be easily removed and stowed away for holidays and entertainment. 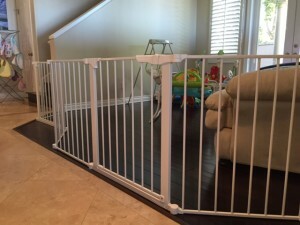 If you have the need for an extra wide custom baby gate, would like to create a large play area or are just having difficulty finding the correct gate to fit your stairs, call Baby Safe Homes. One of our trained safety consultant will help create a solution that is tailored to your needs.